C2C e-commerce rapidly develops, which is an important economic pillar. With the deepening of the network life, more and more people join the C2C e-commerce transactions. However, the credit problem of C2C e-commerce has serious hidden security problems. 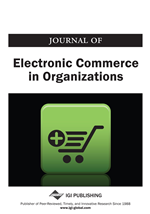 So, the paper analyzes the present situation of C2C e-commerce credit problem and points out the existing problems. Scientifically, systematically, validity, feasibility and comparability are taken as principles to establish the first level indicators that including commodity property, business services, and logistics services and to establish the secondary indicators that reasonable price, timely delivery and so on. Using AHP, the weight of each level indicator can be calculated. C2C e-commerce evaluation model is established. Then the model is improved on transaction amount and evaluation time, so it can provide a theoretical basis for C2C e-commerce credit evaluation system. According to incomplete statistics, in the process of e-commerce transaction, the most important problems attracting consumers are the delivery service and the quality of the goods. The problem that attracts the most attention is that the consistency between the actual goods and introduced goods is weak. The second problem is that goods delivery service cannot meet the requirements of consumers. And there is credit problem that can’t be ignored in C2C e-commerce.